After graduating from St. Mary’s University with a BA in English Communications, Barbara launched her career in the insurance industry in 1990 with MetLife where she obtained her Property & Casualty and Group I licenses. After a year, she quickly recognized how much she enjoyed helping her clients with their complete insurance portfolio and accepted a position with State Farm Insurance. It didn’t take long for Barbara to specialize in educating her clients on their coverage, while providing them the best value and service. Barbara spent 19 years with State Farm and a few years at Nationwide Insurance. Barbara is currently the Agency Owner of a Goosehead Insurance branch located in League City, Texas. She is able to shop insurance coverage among many of the State of Texas’ top rated carriers which allows her to tailor coverage to meet her clients’ needs and provides them the best value. Barbara currently resides in an area of Houston referred to as Clear Lake City, near her hometown of Pasadena, TX. Barbara enjoys spending time with her family, attending rodeos, Texans, Astros and Dynamo games, and traveling with her son’s select baseball team. 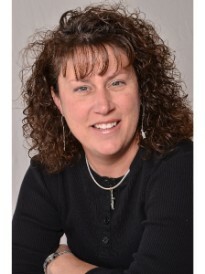 She is a sports enthusiast, and is a proud member of the 1986 Collegiate NAIA National Championship Softball Team. She was a proud sponsor of the NASA Area Little League Program for 4 years and has been a Pasadena Livestock Show & Rodeo Committeeman for 20 years.